: In this yoga class we will focus on the traditional chinese meridians as they relate to your eyes to nourish your vision. Poses for your liver meridian will nourish your iris, poses for your heart meridian will nourish the corners of your eyes. 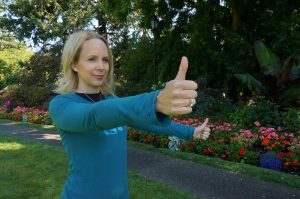 By practicing poses for your spleen you will help your upper and lower eyelids, the inside of your eyelids will be aided by poses for your lungs and your pupils will be supported with poses for your kidneys. 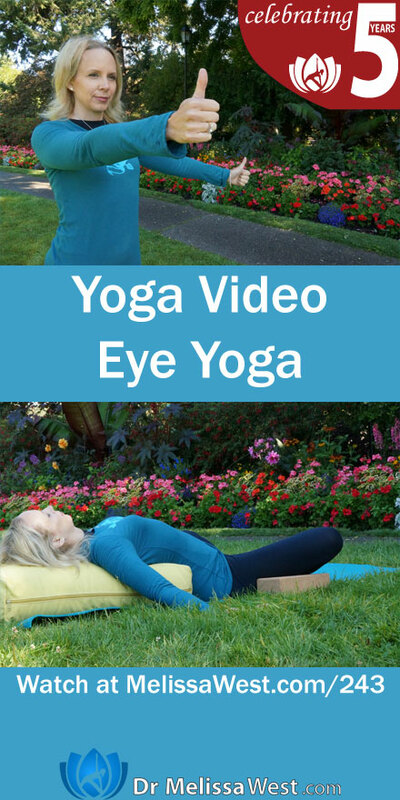 Traditional eye yoga exercises will also be used. We will also be continuing the Ayur Dehi mantra with a focus on the fifth line of the mantra caksur dehi – May my sight be nourished. The prana mudra will be used to support this mantra as this mudra also benefits your eyes. Your eyes allow you to see the world. Every day our vision is assaulted by watching murder, war, and severe accidents – in real life or in the media. I find my eyes can even be overwhelmed by the beauty of my surroundings. As we take in all the beauty that is British Columbia, I sometimes find myself drifting off into naps in the car, no matter how hard I try to stay awake to take it all in! Through our eyes, we not only see our own surroundings, but also our eyes are the windows to our own soul. Our eyes can be empty and lifeless, bright and lively, they may be half-closed and hidden from sight, or wide open with nothing to hide. Our eyes can be filled with anger or fear, hard and calculating or soft and tender. When our eyes have difficulty seeing close up, our bodies are telling us that we may have difficulty seeing something that is going on in front of us. It may be that we are having difficulty with details that are close up. Having a challenge seeing at a distance may be fears regarding your own future or the future of those close to you. Your left eye is said to represent your internal view and what you have learned from your mother. Your right eye is said to represent your external or worldview and your perception of the life as you learned from your father. Nourishing our vision can help us to see clearly our soul’s purpose. Next post: Who was B.K.S. Iyengar?